Berezhniy V. V., Bondarets Y. I. The article presents data on the persistence of herpes virus infection (HVI) in children and its effect on the immune system in patients with juvenile rheumatoid arthritis (JRA). Analysis of the published works shows the adverse effects of HVI on the immune status of patients with JRA. The significance of various types of HVI and risk of its occurrence in the JRA treatment with basic and immunobiological preparations are shown. Key words: children, herpes viruses, immune status, juvenile rheumatoid arthritis. 1. Bukhanova DV, Belov BS. (2016). Herpes zoster virus infection and rheumatic disease: Current state of the problem. Modern Rheumatology Journal. 10(3):69–76. 2. Derbasova NN. (2007). Features of immune disorders in herpetic infection of the eyes and clinical-immunological efficacy of various therapies. Abstract of dissertation for the degree of Candidate of Medical Sciences. Vladivostok: 27. 3. Zheleznikova GF. (2006). Infection and immunity: strategies from both sides. Med. Immunolog. 8(5-6): 597–614. 4. Zborovskaya I, Alexandrov A, Slyusar O. (2010). Treatment of rheumatoid arthritis patients with concomitant herpetic infection. Doctor.12:76–79. 5. Kamolov ZS. (2004). Functional activity of natural killers and production of interleukins in rheumatoid arthritis. Allergology and Immunology.5(1):95–98. 6. Karazhas NV, Malyshev NA, Rybalkina TN et al. (2007). Herpesviral infection. Guidelines. Moscow: 1–118. 7. 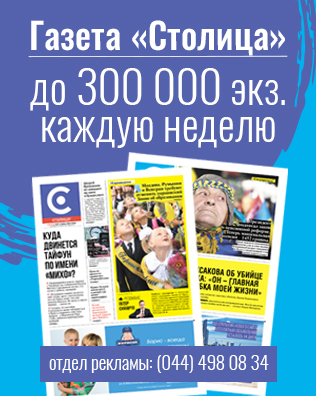 Kireev VV, Dzhaparov AK, Musakhodzhayeva DA. (2013). Influence of the Epstein-Barr virus on immune signs of synovial fluid in rheumatoid arthritis. Immunopathology and Clinical Immunology. 5: 265–267. 8. Kramarov SA, Vygovska OV. (2013). Epstein-Barr Virus Infection in Children. Journal Actual Infectology.1:73–78. 9. Malkhanov VB, Shevchuk NE, Marvanova ZR. (2004). Cytokine status of patients with ophthalmoherpes. Questions of virology. 49 (1): 28–30. 10. Nasonov EL. (2001). Modern directions of immunological studies of chronic inflammatory and autoimmune diseases. Therapeutic Archive. 8: 43–46. 11. Petrov AV, Biloglazova KV. (2008). The frequency of infectious complication in patients with rheumatoid arthritis and persistence of Herpesviridae viruses on treatment with methotrexate and sulfasalazine. 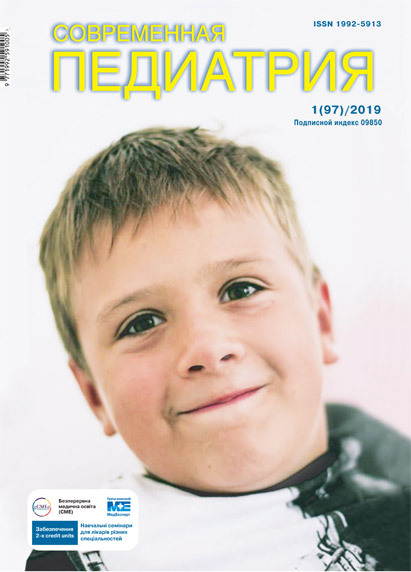 The Ukrainian Rheumatological Journal. 3(33):48–51. 12. Petrov AV, Dudar LV, Maly KD. (2004). Persistence of various infective agents in blood mononuclear leukocytes in debute of rheumatoid arthritis. Therapeutic Archive.5:32–35. 13. Pronina NA, Sviridova VS, Kologrivova EN et al. (2009). Influence of herpes simplex virus persistence upon production of cytokines by immunocompetent cells in rheumatoid arthritis. Med. Immunolog. 1(11): 91–94. 14. Redkin YuV, Odokienko AYu. (2004). Clinical-immunological features of patients with herpetic infection of I and II types. Omsk Scientific Bulletin. Medicine. 1(26):151–156. 15. Savinkov PA, Rybalkina TN, Karazhas NV et al. (2015). The role of herpesviruses and pneumocysts in the etiology of infectious diseases in children with immunosupression of various nature. Clinical microbiology and antimicrobial chemotherapy. 17(4): 251–330. 16. Safina AZ. (2004). The role of herpes viruses, mycoplasmas, chlamydia in rheumatoid arthritis and treatment with cycloferon. Abstract of dissertation for the degree of Candidate of Medical Sciences. Ufa: 24. 17. Simovanyan EV, Denisenko AV, Grigoryan MA et al. (2016). Epstein-Barr Virus Infection in Children: Improving the Diagnosis and Treatment Program. Journal Children’s Infections. 1:15–23. 18. Soboleva NG. (2009). Juvenile rheumatoid arthritis in children of the Krasnodar Territory (features of etiopathogenesis, optimization of therapeutic tactics). Abstract of dissertation for the degree of Doctor of Medical Sciences. Krasnodar: 36. 19. Soldatova EYu, Zholobova ES, Melekhina EV. (2017). The prevalence of herpes virus infection in patients with various forms of juvenile arthritis. Therapist: 6. 20. Soldatova EYu, Melekhina EV, Gorelov AV. (2017). Herpesvirus infection in patients with juvenile arthritis. Epidemiology and infection diseases. 1:46–53. 21. Khaldin AA, Gilyadov AD, Bykhanova ON. et al. (2015). Herpes zoster: modern clinical features and the principles of therapeutic management. Journal Clinical Dermatology and Venereology. 1:77–81. 22. Julish EI, Volosovets AP. (2005). Congenital and acquired TORCH infections in children. Donetsk: Regina: 216. 30. Curtis JR, Xie F, Yun H et al. (2016, Apr 25). Real-world comparative risks of herpes virus infections in tofacitinib and biologic-treated patients with rheumatoid arthritis. Ann Rheum Dis. pii: annrheumdis-2016—209131. doi 10.1136/annrheumdis-2016-209131. 42. Pappas DA, Hooper MM, Kremer JM et al. (2015, Dec). Herpes zoster reactivation in patients with rheumatoid arthritis: analysis of disease characteristics and disease modifying anti-rheumatic drugs. Arthritis Care Res (Hoboken). 67(12):1671—8. https://doi.org/10.1002/acr.22628. 45. Segan J, Staples MP, March L et al. (2015, Mar.). Risk factors for herpes zoster in rheumatoid arthritis patients: the role of tumour necrosis factor-α inhibitors. Intern Med J. 45(3): 310—8. https://doi.org/10.1111/imj.12679. 50. Winthrop KL, Yamanaka H, Valdez H et al. (2014, Oct.). Herpes Zoster and Tofacitinib Therapy in Patients With Rheumatoid Arthritis. Arthritis Rheumatol. 66(10): 2675—84. https://doi.org/10.1002/art.38745. 52. Yun H, Xie F, Delzell E et al. (2015, May). Risks of herpes zoster in patients with rheumatoid arthritis according to biologic disease-modifying therapy. Arthritis Care Res (Hoboken). 67(5): 731—6. https://doi.org/10.1002/acr.22470. Article received: Mar 17, 2018. Accepted for publication: Sep 27, 2018.